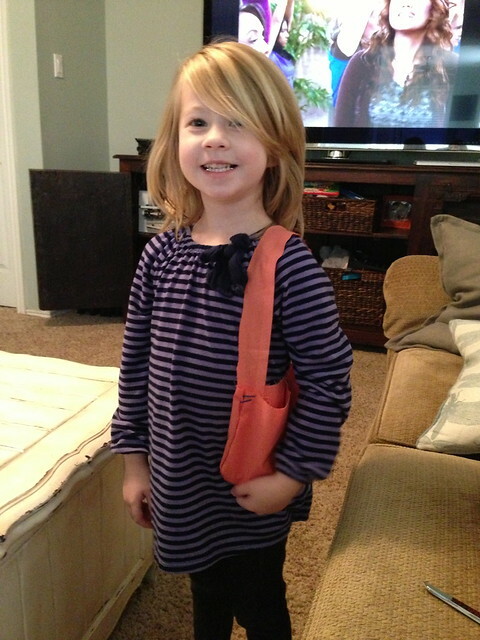 Celebrate Always: Ella's DIY purse! After seeing Kristen teach Avery how to sew with a needle and thread, Ella and I were inspired. Ella has always said she wants to sew with my machine but I don't think we are to that level yet. A dull embroidery needle sounded much more doable. 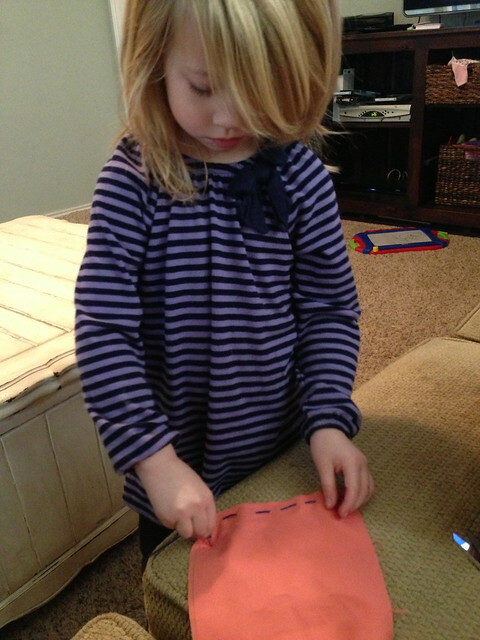 Ella sewed two pieces of fabric together like a pro. She wanted to keep her hand directly under the spot the needle would come through so I had her lay it on the couch and push the needle through the fabric and couch. Maybe not the best way to teach, but it was a great solution to not poking herself every time. She then sewed on a handle and wa-la! A new purse! She has carried it out a few times and it is still in one piece. Way to go Ella!